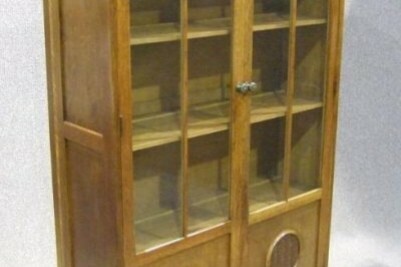 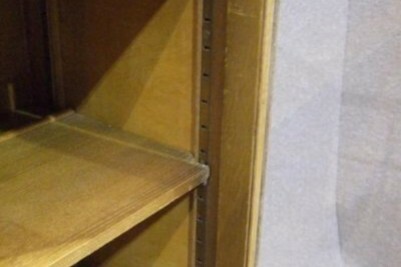 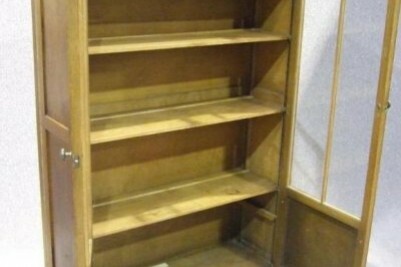 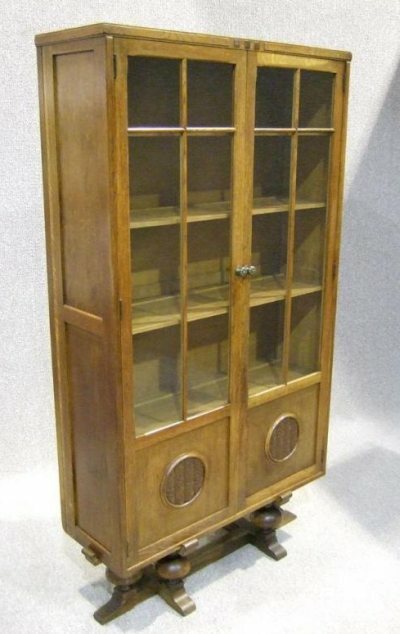 A beautiful, solid oak, art deco bookcase. 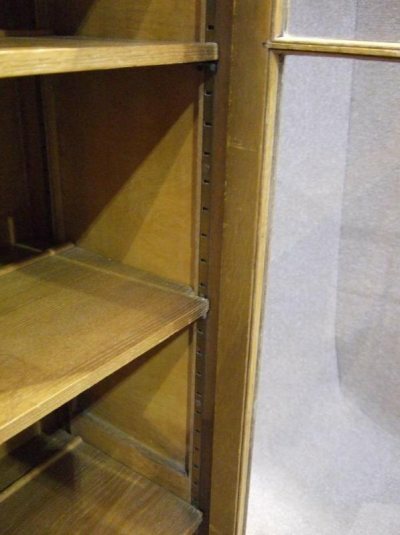 With its glazed doors which open up to reveal four solid oak adjustable shelves. 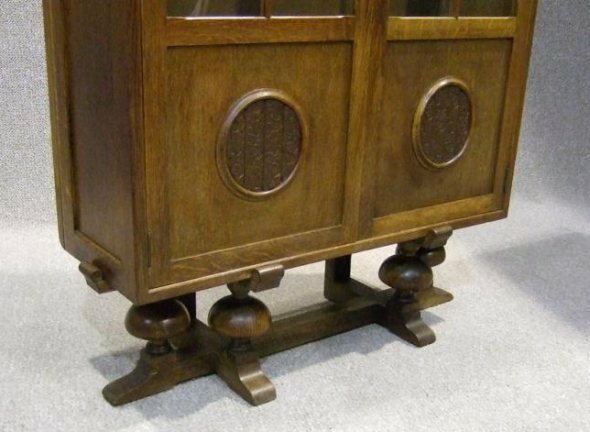 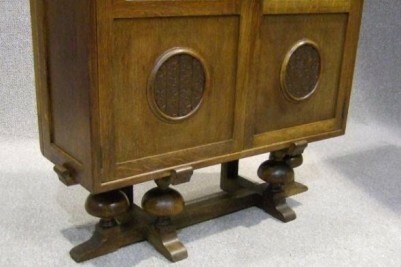 The bookcase section stands on an unusual and highly decorative base section, with turned columns. 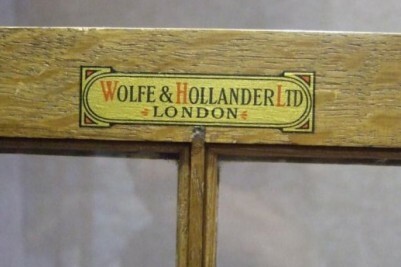 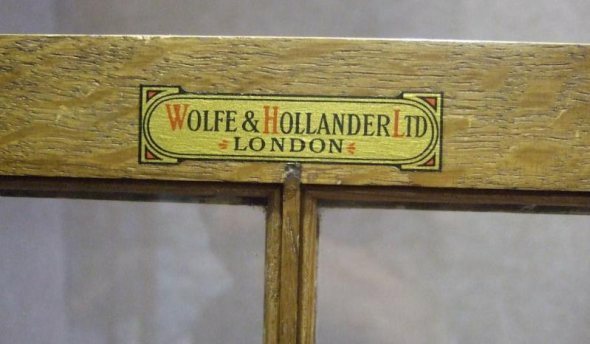 It is made by the renowned Wolfe and Hollander Ltd of London. 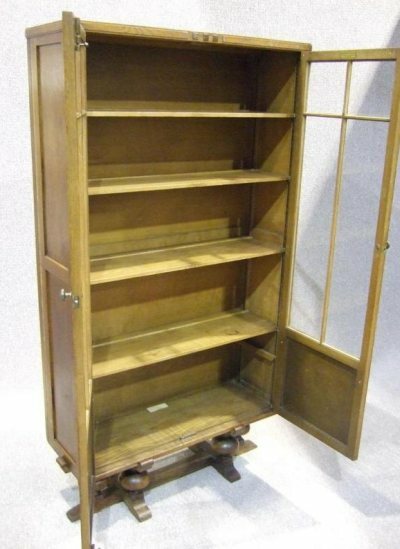 This item is in beautiful condition for its age, and would make a lovely addition to any period office interior.